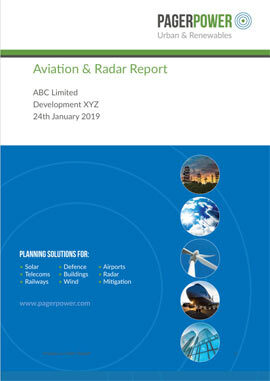 Pager Power is a specialist consultancy that helps companies build wind farms, solar farms and tall buildings in Britain and throughout the world. We analyse and resolve complex technical issues so that these developments can be built. Issues we resolve relate to solar reflections, radar interference and low flying aircraft. Our close-knit team need a clever, friendly and hard-working Support Officer to keep the business running smoothly and to help it grow. You will receive comprehensive training and support to enable you to run this busy office. After initial training your duties will include Preparing proposals; Answering the phone; Bookkeeping; Chasing overdue invoices; Backing up sensitive data; Managing emails; Managing customer data; Arranging travel; Website Management, Marketing support and IT support. After approximately 18 months your role may well evolve to include technical analysis; preparing technical reports and writing news articles. This is a permanent role working in our riverside office in Great Cornard, Suffolk for between three and five days per week. Our working hours are from 9 till 5 with some flexibility. We are keen to hear from you if you think this role would suit you and you have the following qualifications (or similar) – 8 GCSEs grade (A*-C) including Maths and English Language and 2 A Levels in Maths, Science, ICT, Geography, Environmental Science, English Language, Business Studies or Accounting. You will be paid between £6.00 and £9.50 per hour, with paid leave and company pension contributions, starting work with us in December or January. The rate of pay offered will depend on your qualifications, age and experience. Note that Pager Power has customers all over the world and we welcome applicants of all nationalities. To apply please email your curriculum vitae to mike@pagerpower.co.uk I look forward to hearing from you.